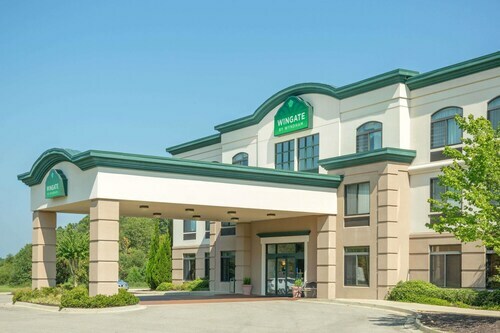 Located in the heart of Tupelo, this hotel is within 3 mi (5 km) of BancorpSouth Arena, Tupelo National Battlefield, and Tupelo Automobile Museum. North Mississippi Medical Center and Elvis Presley Center are also within 6 mi (10 km). 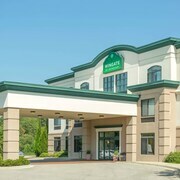 Situated near the airport, this hotel is within 2 mi (3 km) of BancorpSouth Arena, Tupelo Automobile Museum, and North Mississippi Medical Center. Tupelo National Battlefield and Elvis Presley Center are also within 3 mi (5 km). 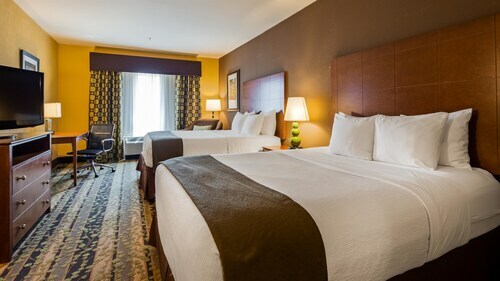 Located in the heart of Tupelo, this hotel is within 3 mi (5 km) of BancorpSouth Arena, Tupelo Automobile Museum, and North Mississippi Medical Center. Tupelo National Battlefield is 2.6 mi (4.3 km) away. Situated in Tupelo, this hotel is within 6 mi (10 km) of North Mississippi Medical Center, BancorpSouth Arena, and Tupelo Automobile Museum. Tupelo National Battlefield and Elvis Presley Center are also within 6 mi (10 km). Situated in Tupelo, this motel is within 3 mi (5 km) of BancorpSouth Arena, Tupelo Automobile Museum, and North Mississippi Medical Center. Tupelo National Battlefield is 3 mi (4.9 km) away. Situated in Tupelo, this hotel is within 9 mi (15 km) of Oren Dunn City Museum, BancorpSouth Arena, and Tupelo National Battlefield. North Mississippi Medical Center and Tupelo Automobile Museum are also within 9 mi (15 km). 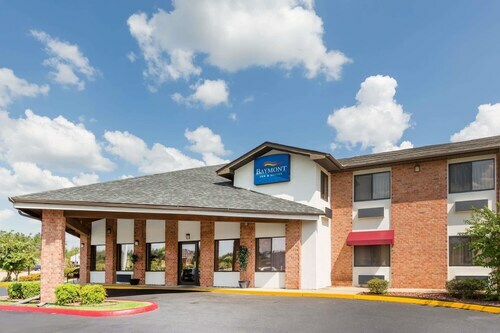 Located in the heart of Tupelo, this motel is within 3 mi (5 km) of BancorpSouth Arena, Tupelo National Battlefield, and Tupelo Automobile Museum. North Mississippi Medical Center is 2.7 mi (4.3 km) away. 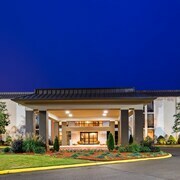 Situated in Tupelo, this hotel is 2.5 mi (4.1 km) from Elvis Presley Center and within 6 mi (10 km) of BancorpSouth Arena and Tupelo Automobile Museum. North Mississippi Medical Center and Tupelo National Battlefield are also within 6 mi (10 km). 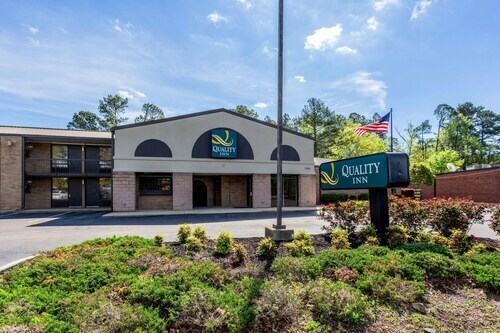 This family-friendly hotel is located in the city center, within 3 mi (5 km) of BancorpSouth Arena, Tupelo Automobile Museum, and North Mississippi Medical Center. Tupelo National Battlefield is 2.7 mi (4.3 km) away. Situated in Tupelo, this hotel is within 2 mi (3 km) of BancorpSouth Arena, Tupelo Automobile Museum, and North Mississippi Medical Center. Tupelo National Battlefield and Elvis Presley Center are also within 3 mi (5 km). How Much is a Hotel Room in Tupelo? 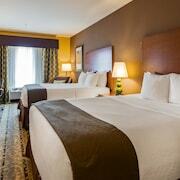 Hotels in Tupelo start at $51 per night. Prices and availability subject to change. Additional terms may apply. "Do something worth remembering." This simple quote from the celebrated idol Elvis Presley definitively sums up the experience of visiting the town where he was born. You will be transported back in time to the days of stately Southern mansions and charming Main Streets as you explore the landmarks and cuisine of this quaint small town. And with the “Birthplace of Rock ‘n Roll” an exciting road trip away, hotels in Tupelo, MS truly put the legends of music at your fingertips. You will certainly “do something worth remembering” on this vacation. “Like a river flows surely to the sea, darling so it goes; some things are meant to be…” What is that you’re hearing in your dreams at Tupelo hotels? It is the wise words of Elvis, and when you awaken, you will know just what is meant to be. The two-room house where Elvis was born is a humble museum to even more humble origins—belying the meteoric rise that was to come. Take a stroll up Main Street as the King himself may have done and allow classic cuisine like fried catfish and pecan pie to inspire your taste buds. Elvis may have been born in Tupelo, but from age 13 he lived 110 miles northwest, in Memphis, Tennessee. You can follow in his footsteps when you journey up Route 22 in one of our Tupelo rental cars. Let the nostalgia take you away at Graceland Mansion, where you can explore the intimate corners of the King’s personal hideaway. Return to the present day on Beale Street as the sounds of the modern music scene float from doorways and entice you into darkened taverns. 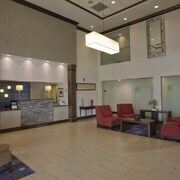 Take a welcome rest at hotels near Memphis before you return to Tupelo with your astonishing new memories in tow. Elvis also said, "Truth is like the sun. You can shut it out for a time, but it ain't goin' away." You will find that Travelocity’s excellent selection of accommodation isn’t going anywhere, either. 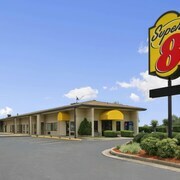 Whether you want sumptuous surroundings or cheap hotels in Tupelo, MS, we have what you’re looking for. The only thing we can’t arrange is a Pink Cadillac. This motel was convenient for me. Even though it was not right in town it was only 15 minutes from The Antler where I was attending a wedding. I left some things behind and they contacted me to let me know they had them and I was able to go back through that way and pick them up. Clean and convenient. Easy check in. 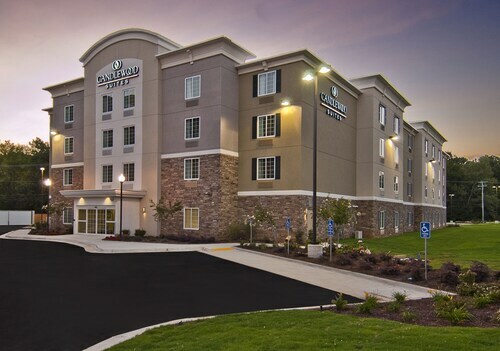 Great place to stay for business travel. Older feel but very adequate. Super comfy bed and soft bedding. Very large room and upgraded bathroom. I would stay again. 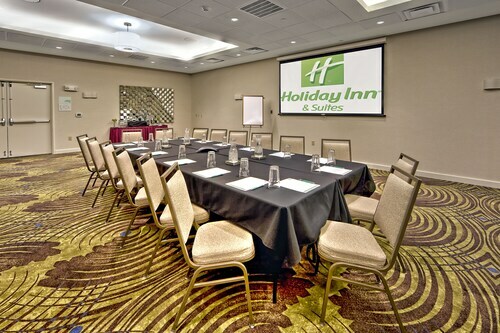 This property is in walking distance to multiple restaurants. Size of room was exceptional! Very convenient to downtown Oxford.